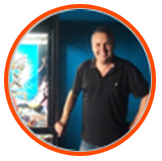 Make $350 to $500 for only one day’s work per week looking after claw machines in Nagambie and surrounding areas! Be your own boss by owning and operating skilltesters in Shepparton and nearby areas! With a Koalakrane franchise, claw vending machines do all the work while you earn a lucrative amount on the side. The Koalakrane claw machine only needs one day a week for cleaning and prize refilling—no need for unnecessary maintenance. 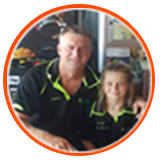 Being the sole franchisee in the Shepparton area, there is less competition and a chance to expand the business to other areas. No need to start your business from scratch—simply follow a business system that has been proven and tested for the last 17 years. Even the most inexperienced franchisee can learn to operate the business through Koalakrane’s consistent support in all areas. Order licensed toy crane prizes from the convenience of your own home through an exclusive franchisee website. Grab this Business opportunity in Nagambie or someone else will!